This is one of the most advanced nano sized drones on the market today. At only 140 grams in weight, it features a wifi module, 15 megapixel on board camera and gps tracking system so all you have to do is toss it into the air and it will lock onto your smart phone location. 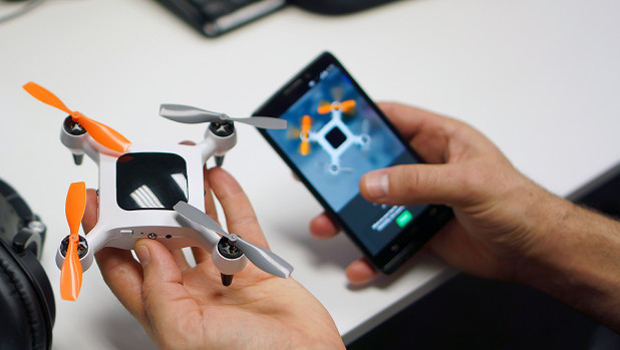 As you move around the drone follows you and records live video at a customizable distance from you. Because of it’s tiny size, Onagofly is very portable and easy to use. You can control the drone from your smart phone or enable the object avoidance system so the drone can sense it’s surroundings and avoid a collision using infrared sensors. If you are looking for a small drone that packs a big punch, this could be what you are looking for. We have seen conventional looking quadcopter drones before, but this drone definitely stands out as being unique. 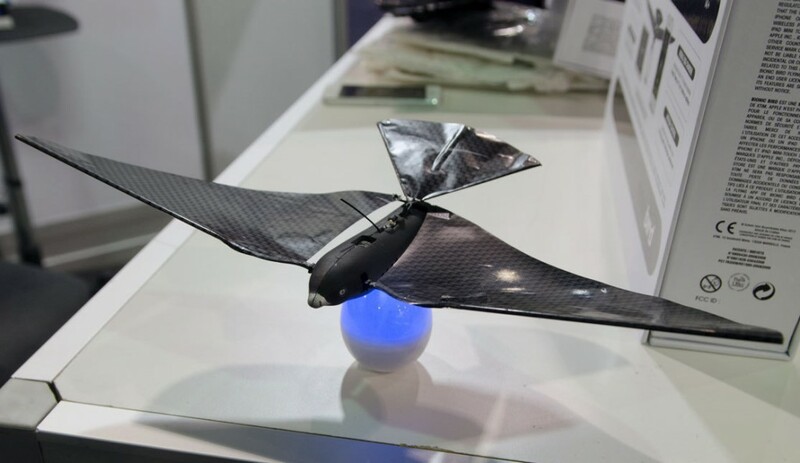 Weighing in at less than 10 grams, this bird drone was inspired by nature and has some impressive design specifications. It can fly up to 12 mph at a maximum distance of 100 meters from your smart phone for 10 minutes on a single charge. The egg is a portable charging unit that can supply a bird with a full charge in less than 12 minutes. This is an affordable drone for those looking for a unique flying experience similar to how an organic bird navigates the sky. This drone incorporates some unique elements that most other drones simply do not have. It has the ability to take off and land as a normal quadcopter drone does, however once airborne, it can tilt into a more optimized position for high speed forward travel. 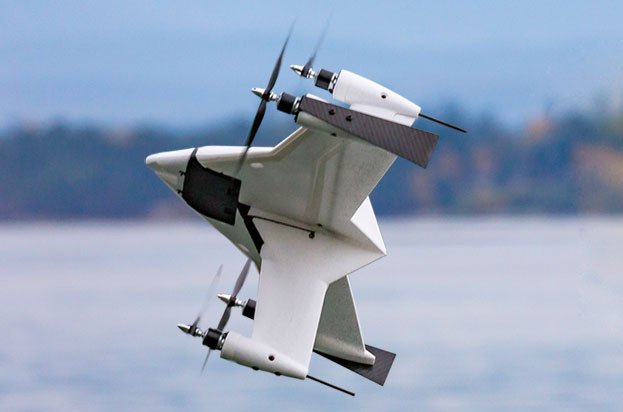 This is unlike most drones currently on the market because of it’s unique flying wing design which allows it to achieve a much more efficient forward flight by leveraging aerodynamics. Each kit currently comes with 3 customizable packages to fit different users needs. If you are a do it yourself user, you can purchase the body and supply the electronics and motors yourself. If you are looking for a complete kit, the plus one package comes with everything you need, including a GoPro Mount straight out of the box. The next drone on the list is the PowerUp FPV. This is a smart phone controlled paper airplane drone with some awesome features. It uses wifi, a barometer, a gyroscope, an accelerometer and compass to help users navigate the skies. 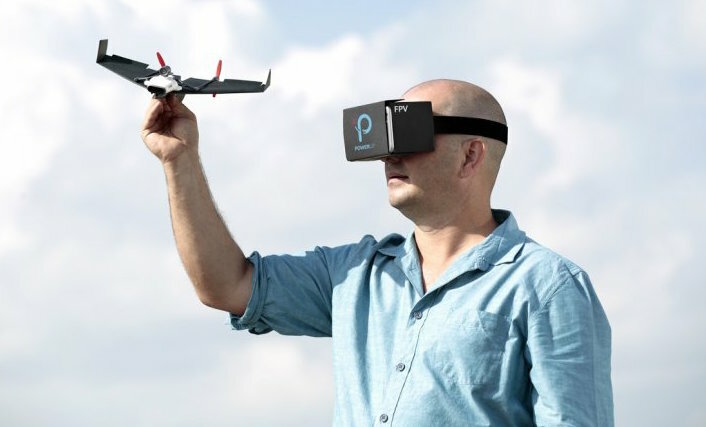 Not only can you fly the plane via your smart phone or tablet, but it also comes with a live streaming camera and head gear that gives users an unforgettable experience. If you want to feel what it’s like to fly through the air riding a paper airplane, this is the drone for you! Last but not least, this quadcopter drone is truly an outstanding piece of machinery. Designed and built for action sports enthusiasts, this drone is capable taking some outstanding video footage with GoPro cameras. Users can wear a tracking and control device on their wrist that the drone will follow. With this device you don’t need to worry about operating, flying and capturing great aerial shots, all you need to do is focus on your performance in the activities you are executing. It has never been this easy to look this good on camera. The AirDog can be configured to fly at various distances and angles as it tracks users. If you are into extreme sports and want to capture every exciting moment, this drone can be your personal camera man in the sky!